Today, the popularity of flash drives has made it is no longer a simple storage tool, and the frequent appearance of various patterns, such as a portable flash drive is more like ornaments highlight the owner’s style and temperament. Kingston, recently introduced a “Terra-Cotta Warrior” theme flash drive – Kingston DataTraveler Terra Cotta (DTTC) Qin terracotta dish, the Chinese taste of the rich people never forget it. 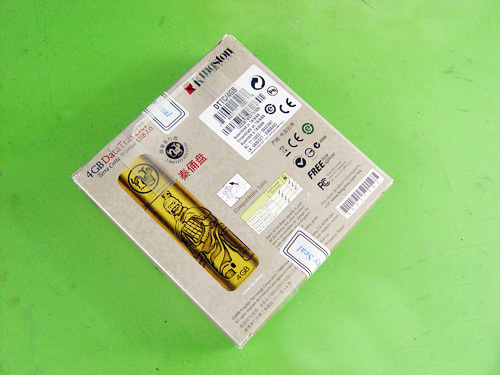 This flash drive to see the first reaction, first of all is the age-old Yi Bing sword: “scabbard” from “Bronze” to build, eye-catching styling, sir relief solemn, serious, “hilt” on the Qin and Han Dynasty exist side by side with the ancient pattern, suddenly people feel this sword of luxury, light on the know-looking appearance in a Kuangshi weapon. Turn the “blade”, Kingston logo impressively at the moment, This gives people an idea of its true identity. 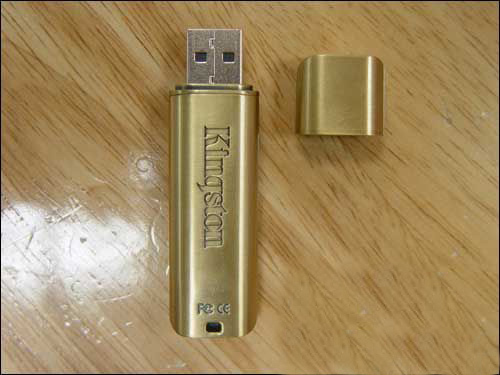 Kingston Technology products so as to give a wave of art temperament, I must mention is that the details of this flash disk are all done at ancient thick, even mottled patterns showing the depth of notches are different, The quintana’s bronze luster resembles an antique’s long-standing bag made of pulp, as if one has experienced centuries of art. Imagine if you come up with such a business presentation when a flash drive, customers will immediately feel the owner’s cultural heritage, but if this product as a gift to foreign friends, the other party will definitely be full of praise. 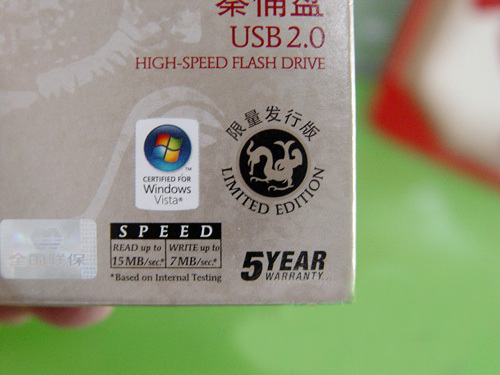 In addition to unique appearance, the performance of this flash disk The same can not be overlooked. 4GB capacity can hold the 1000 MP3, transmission speeds of 20MB / s read and 10MB / s write, copy a full flash disk also only took Zhang six minutes. In addition to speed, “invaders fiery” flash disk is also done in the privacy of “immobile as a mountain.” Qin terracotta flash drive preloaded with Kingston’s patented Secure Traveler software can be easily flash disk will be divided into public and private two regions, the private area must be able to access via a password, or even kept inside what outsiders can not know, users are more able to adjust the software free two partitions. 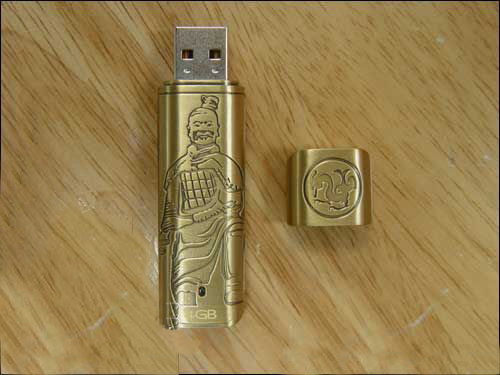 “Terra-Cotta Warrior” flash disk appearance of warmth in addition to better guard the same as the loyal guardian of the user’s confidential data. 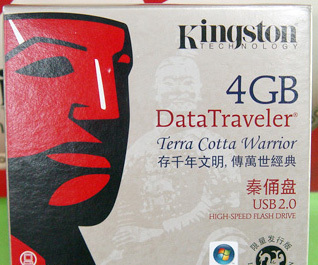 “Terra-Cotta Warrior,” a full range of flash drives and Kingston USB drives to enjoy the same five-year factory warranty providing after-sales service, the duration field is also unique in the flash disk. The flash disk now this limited edition has been added to our catalog on sale. If you want a collection, then, we should quickly move. You are currently browsing the EXcheap News blog archives for August, 2009.